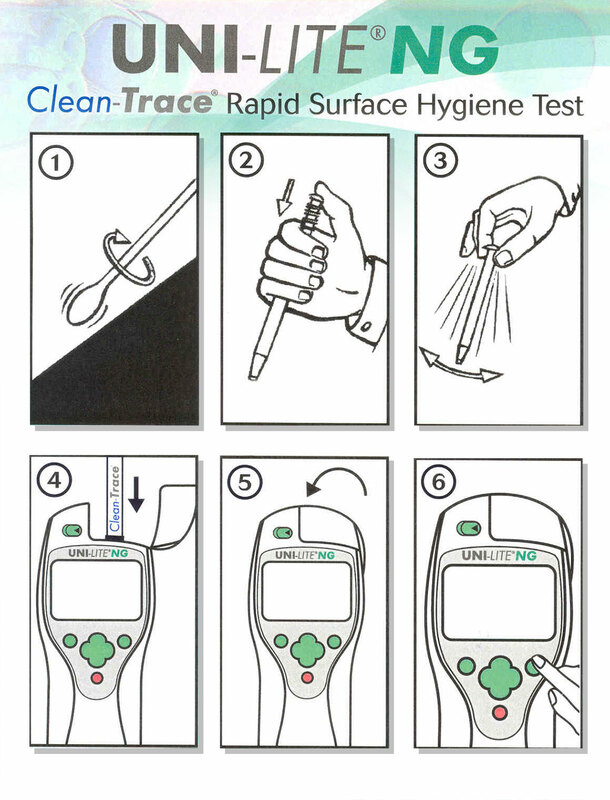 The world’s most user-friendly surface hygiene test, Clean-Trace ® sets the standard when it comes to rapid surface hygiene detection. A self-contained, simple “pen-like” device contains all the necessary reagents to determine whether surfaces and equipment are sufficiently clean. 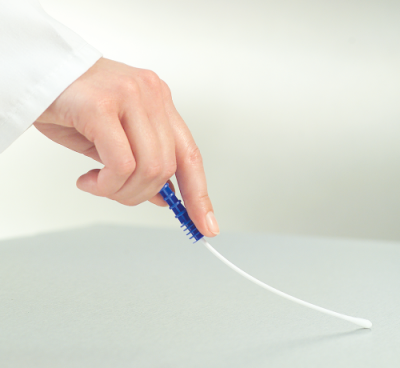 Clean-Trace ® is simple, fast, safe and reliable, allowing you to use one swab at a time with no waste. Just swab, click and measure! The test is read in a Luminometer allowing a print out and/or data capture and results are available in less than a minute. Clean-Trace ® employs the ATP (Adenosine TriPhospate) method to determine biomass in the assay. Biomass is measured in Relative Light Units (RLU). The higher the RLU, the higher the presence of biomass. Clean-Trace ® measures only the total ATP… which is a representation of alive and dead microbes. Description For use on surfaces... A quick and easy hygienic test for surfaces; using the swab methodology for the assay. Test results are available in less than one minute.